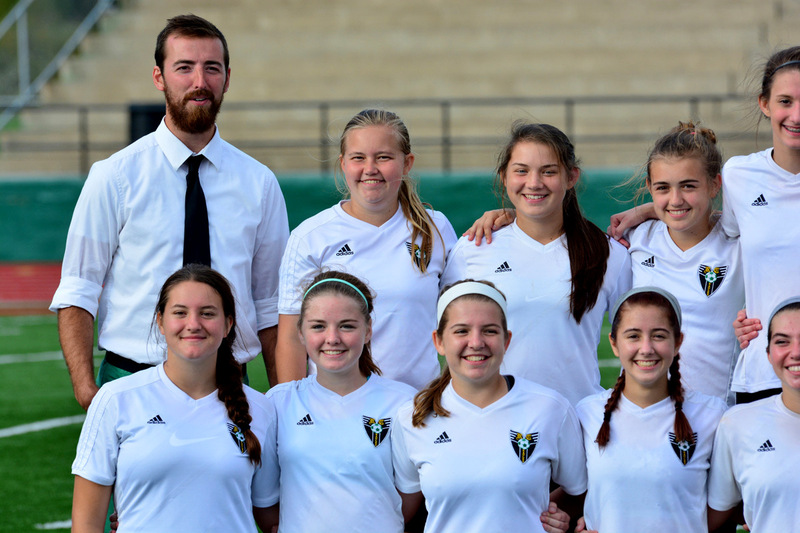 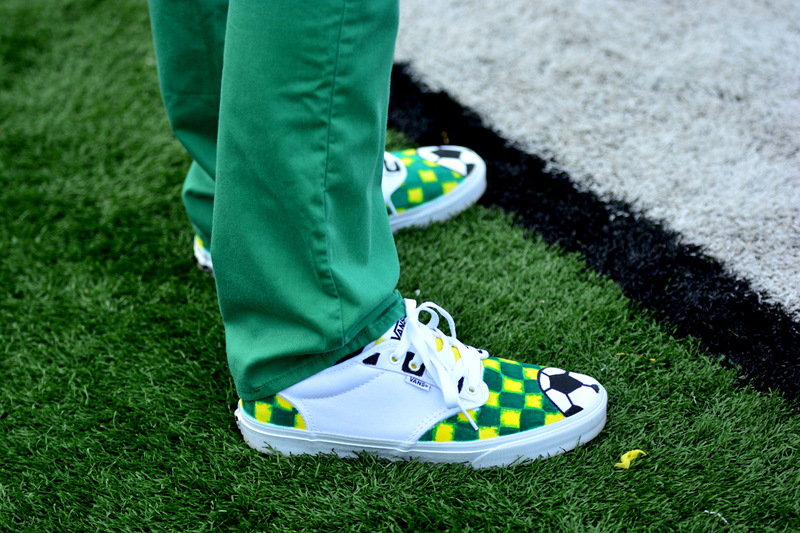 Evensville, TN — Rhea County Soccer won 2-0 over Cumberland County at home on Saturday afternoon in the opening game of the post-season District tournament. 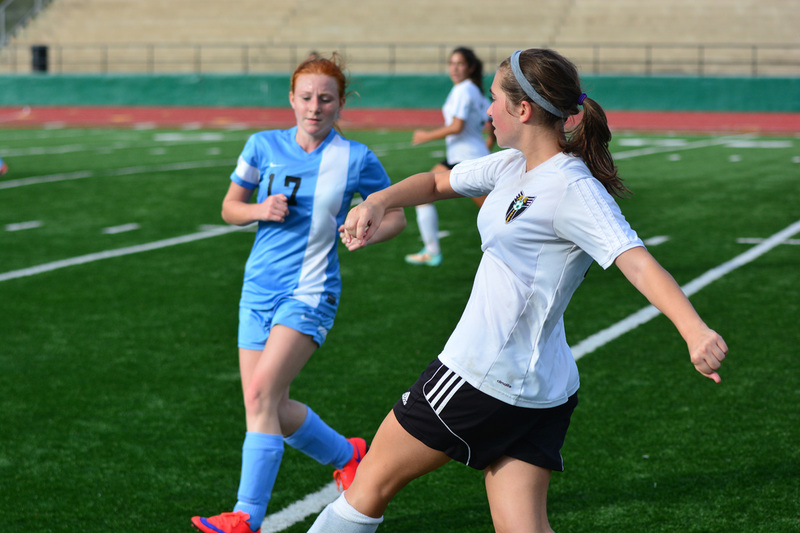 Rhea County scored early in this one on goal by Olivia Conner and held a 1-0 lead through first half. 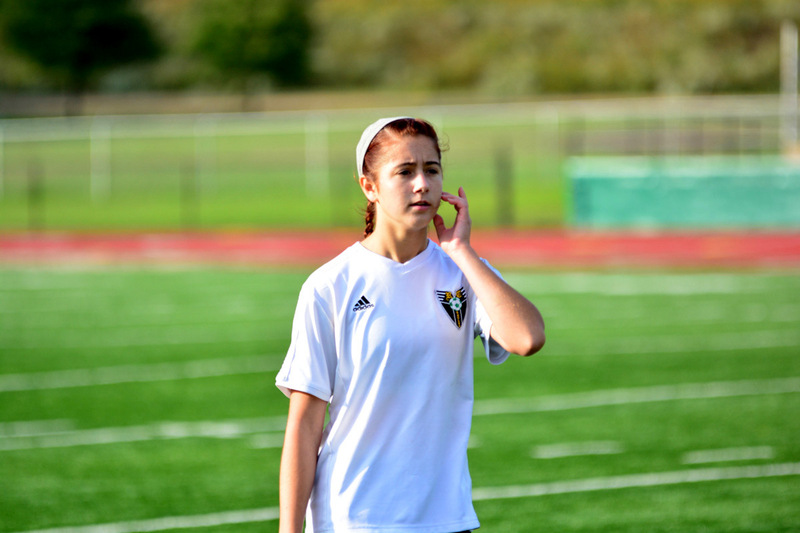 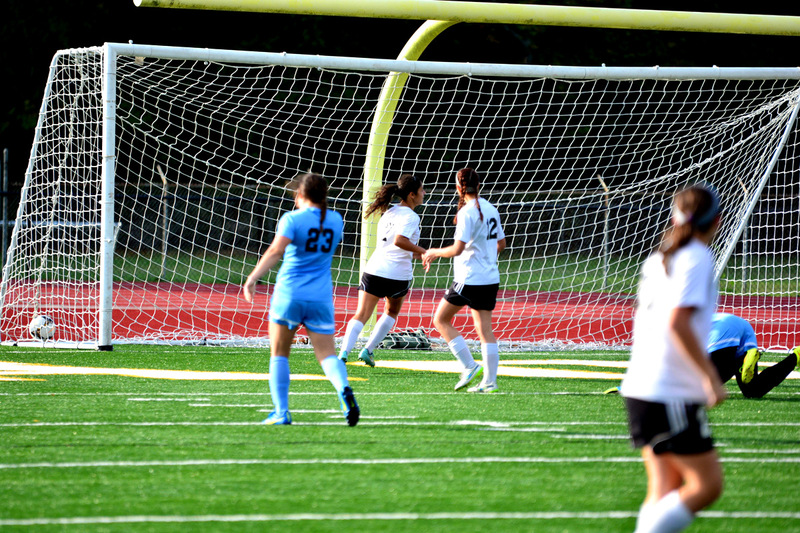 In the second half of play they game continued 1-0 until Alexis Ayala sliced down middle to score the 2nd goal in the 78th minute for a little cushion. 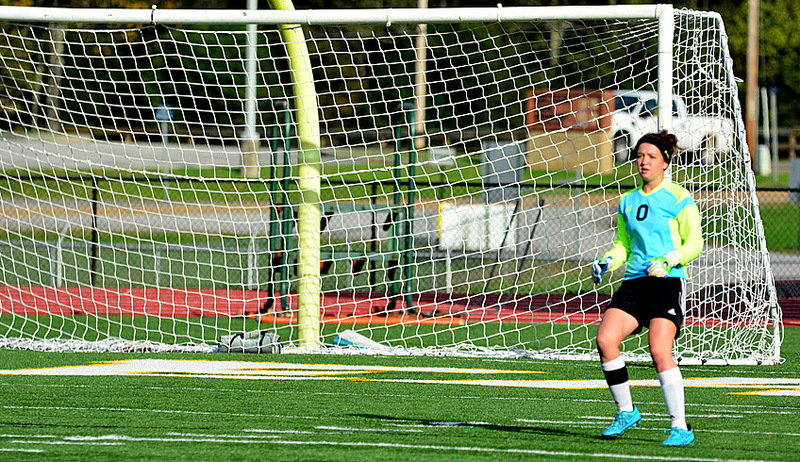 Rhea County kept Cumberland out of the nets for the rest of game for a 2-0 win and a trip to Cookeville for a 8 pm eastern match on Tuesday, October 13, 2015. 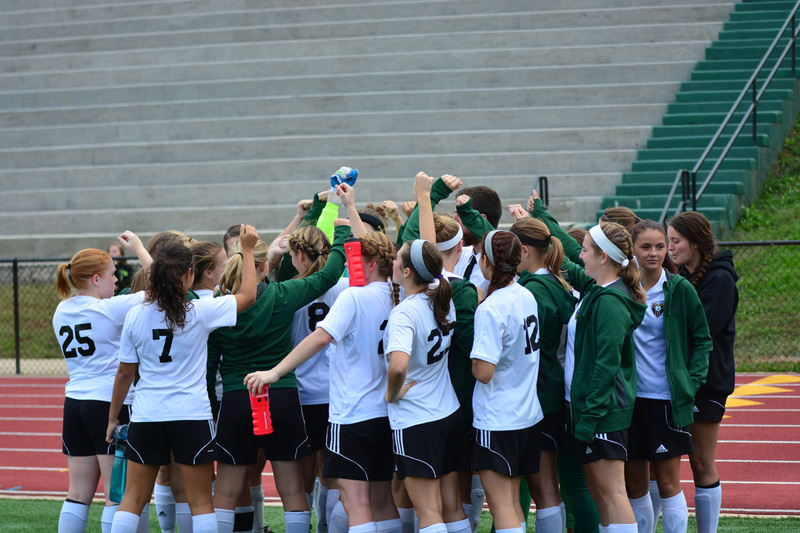 The Lady Eagles record goes to 10-5-1. 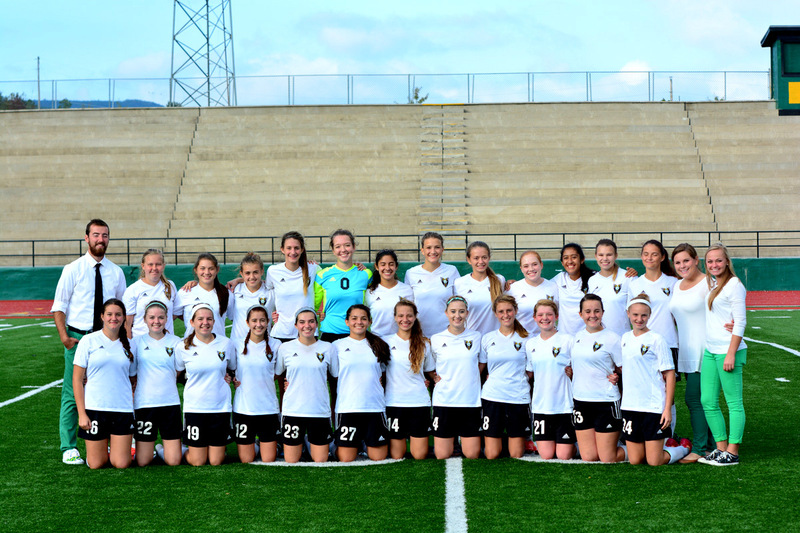 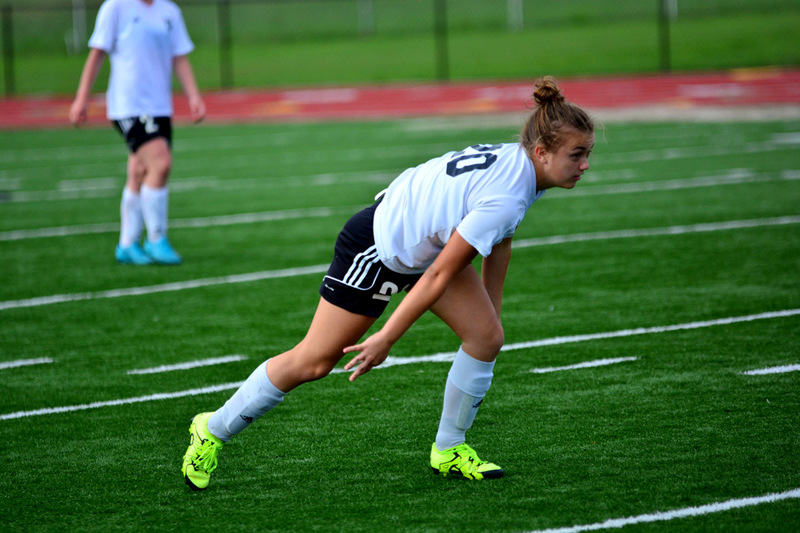 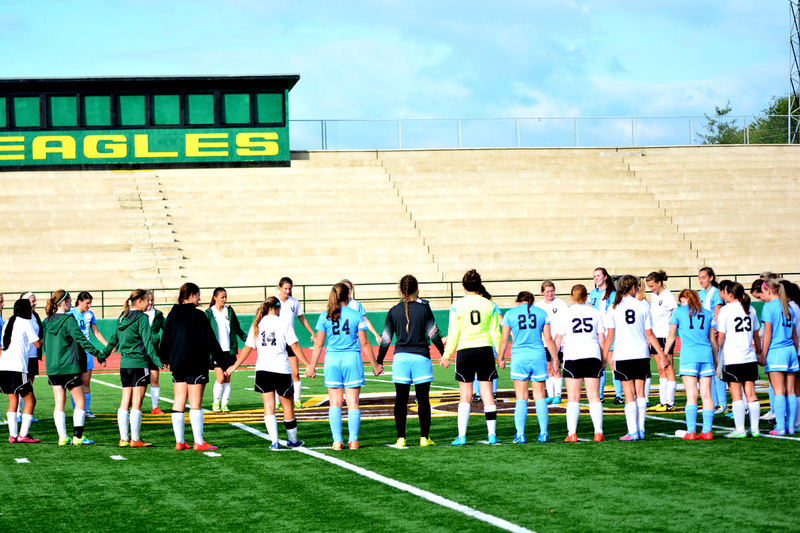 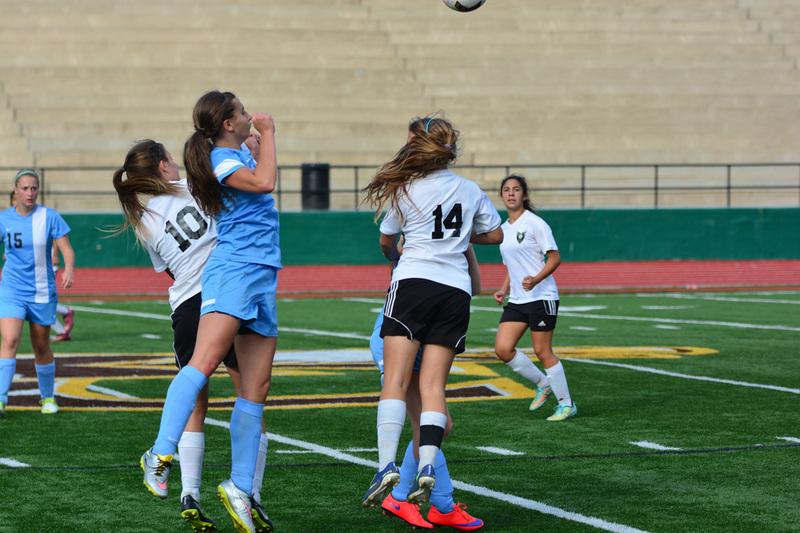 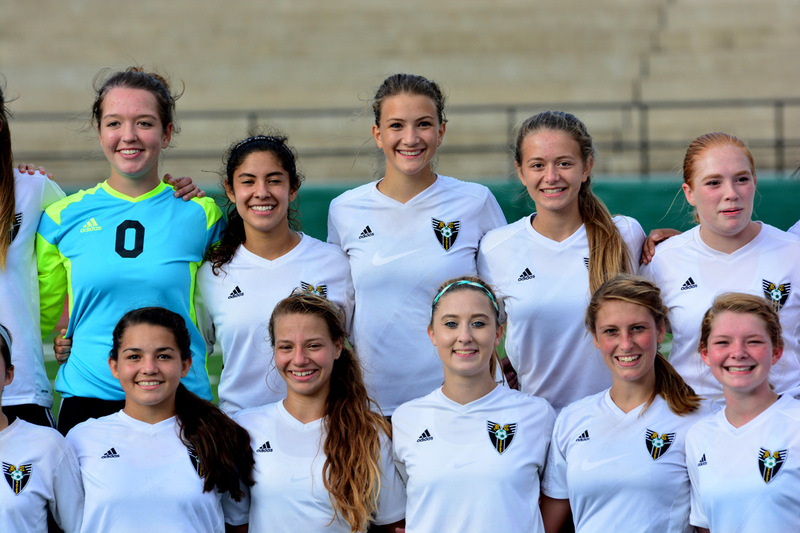 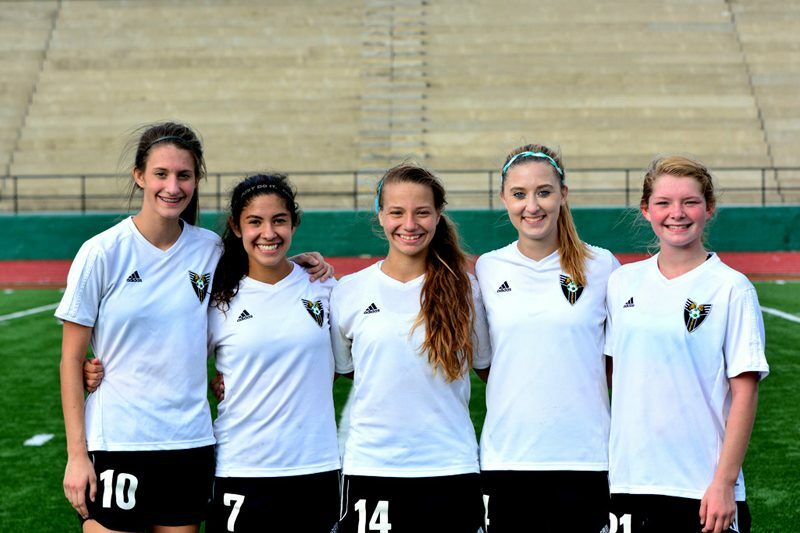 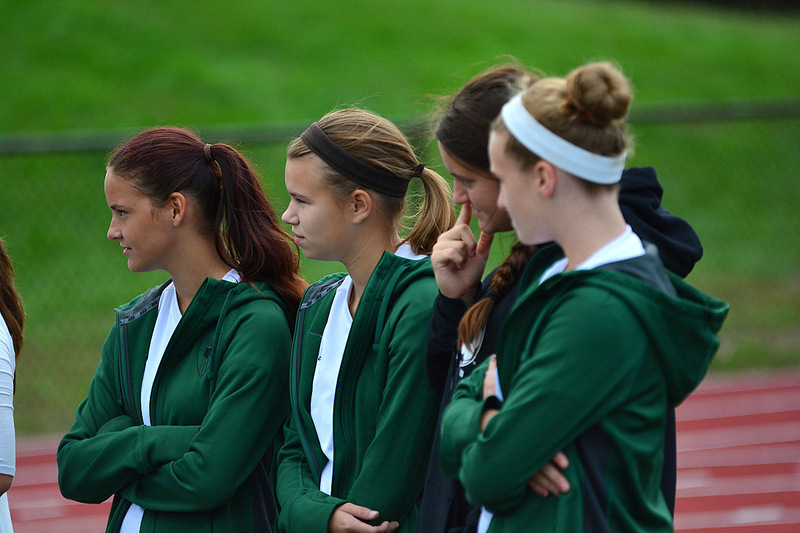 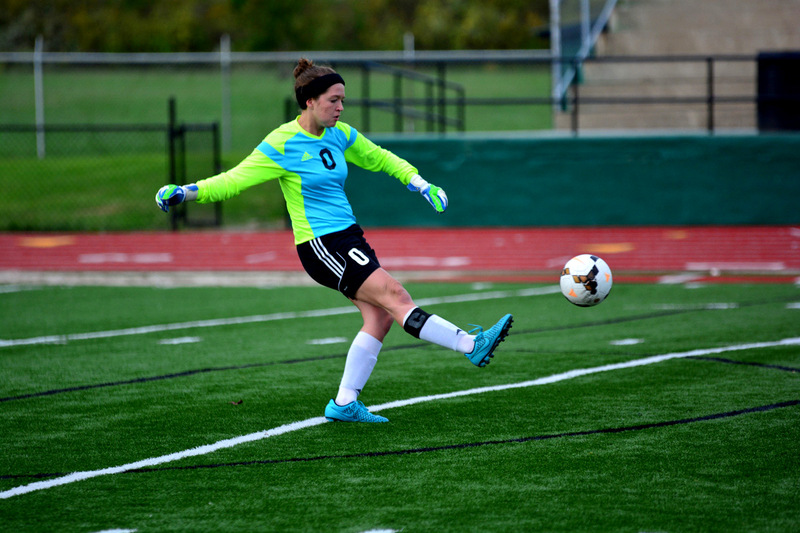 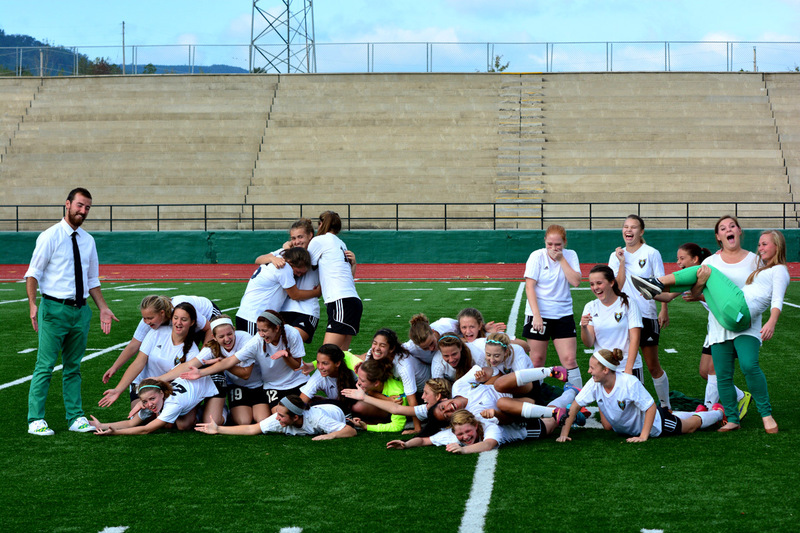 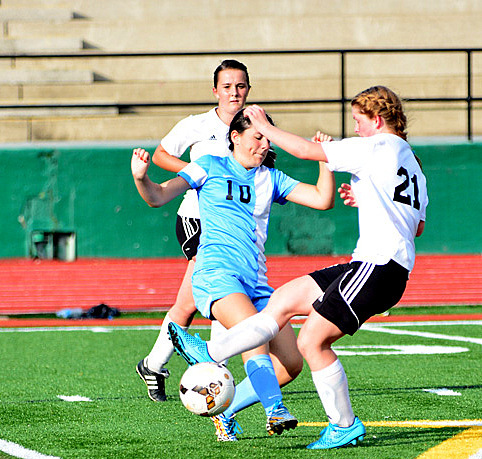 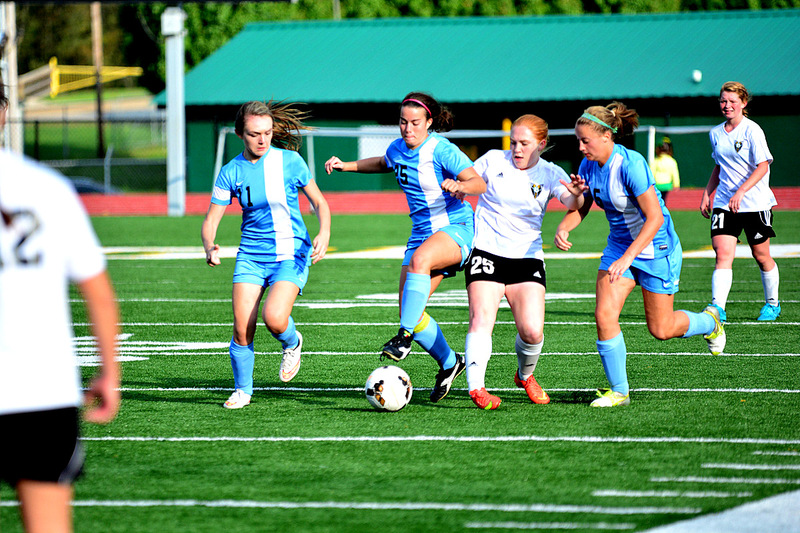 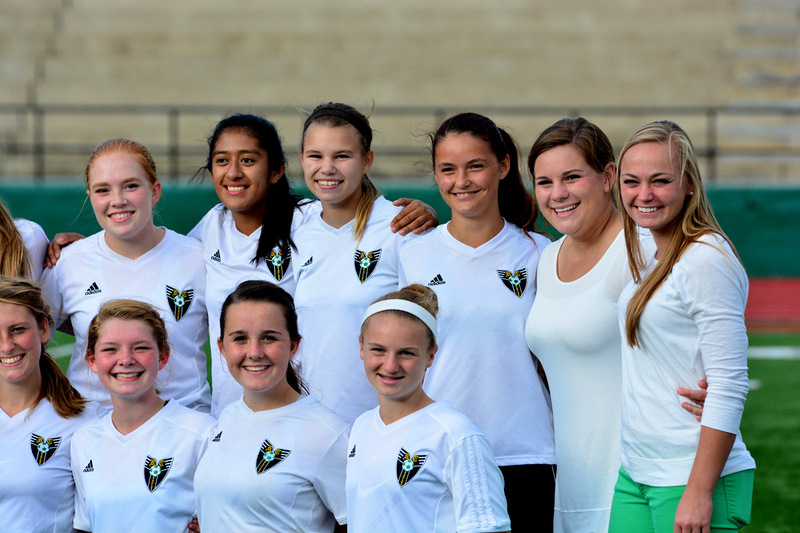 The 10 wins continues to add to the record win total for Rhea County Lady Eagles’ Soccer. 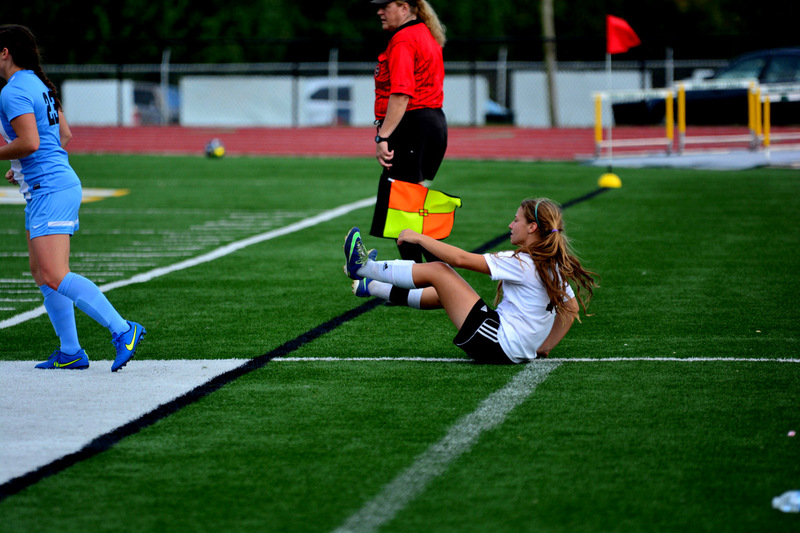 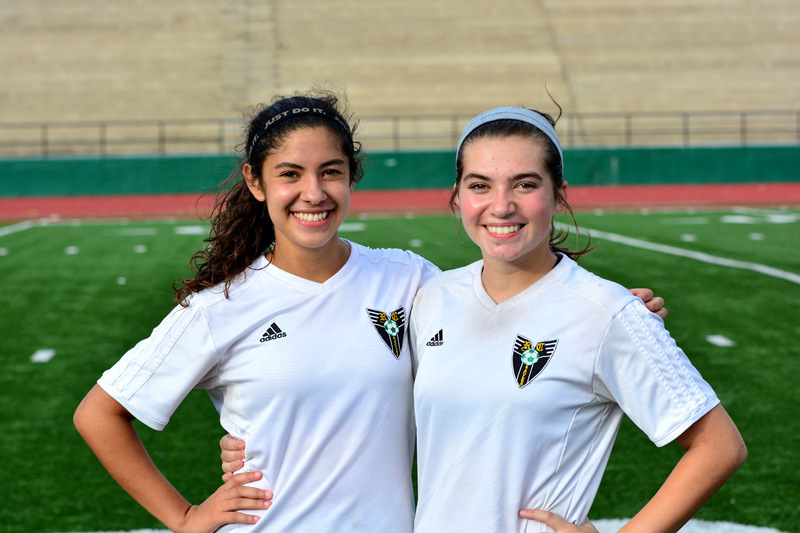 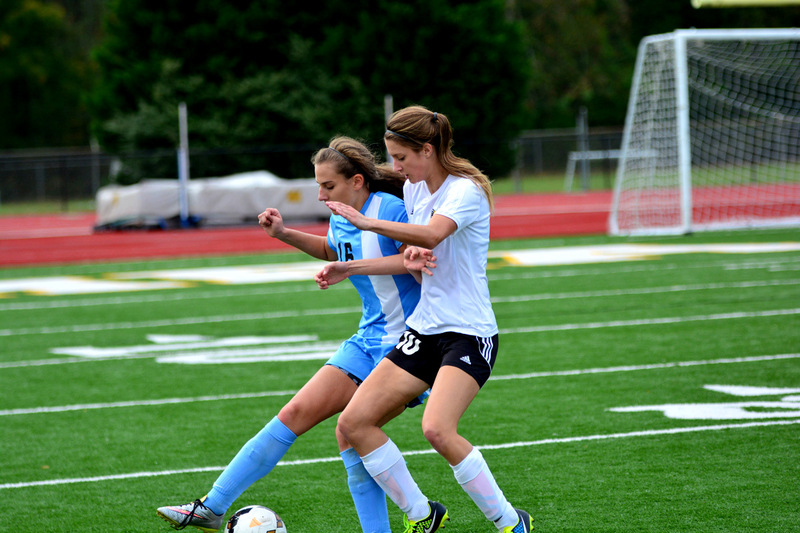 Alexis Ayala and Olivia Conner(left to Right) scored the 2 goals for the Lady Eagles on Saturday. 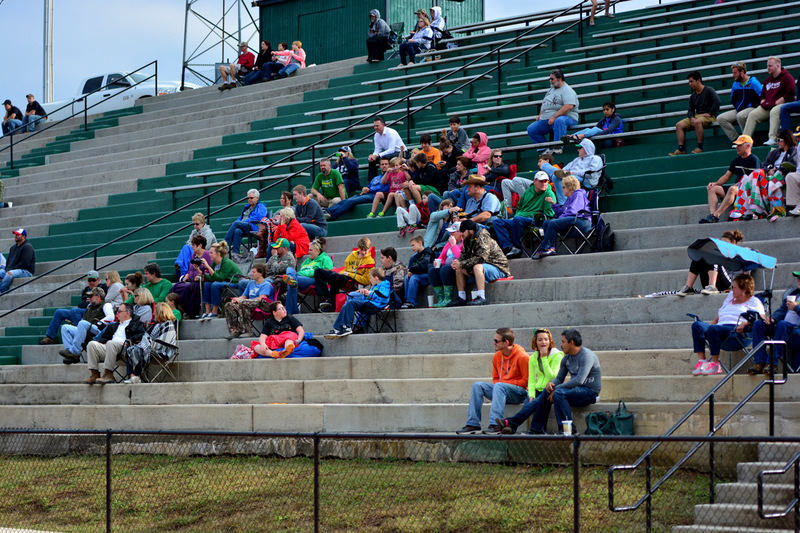 Rhea County also won their previous game with Ooltewah 3-1. 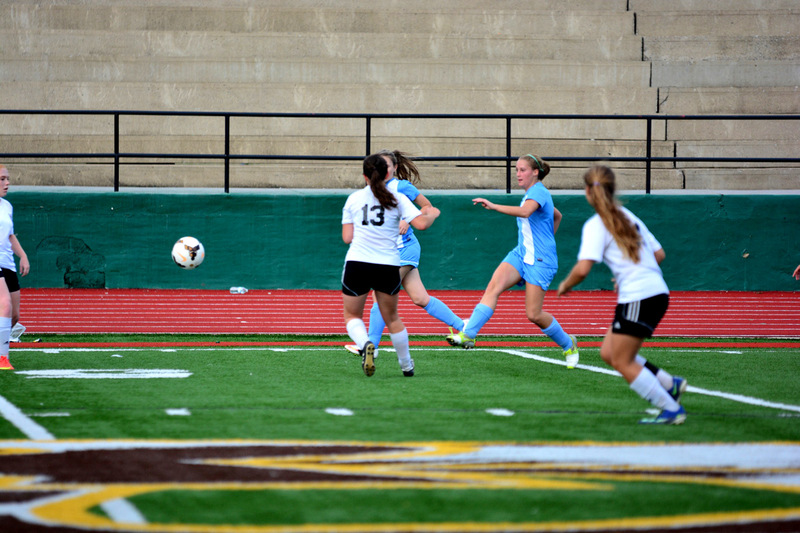 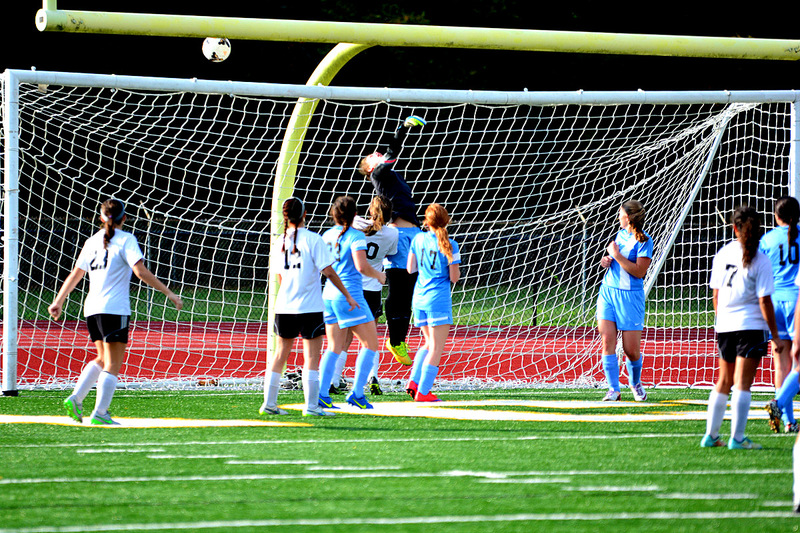 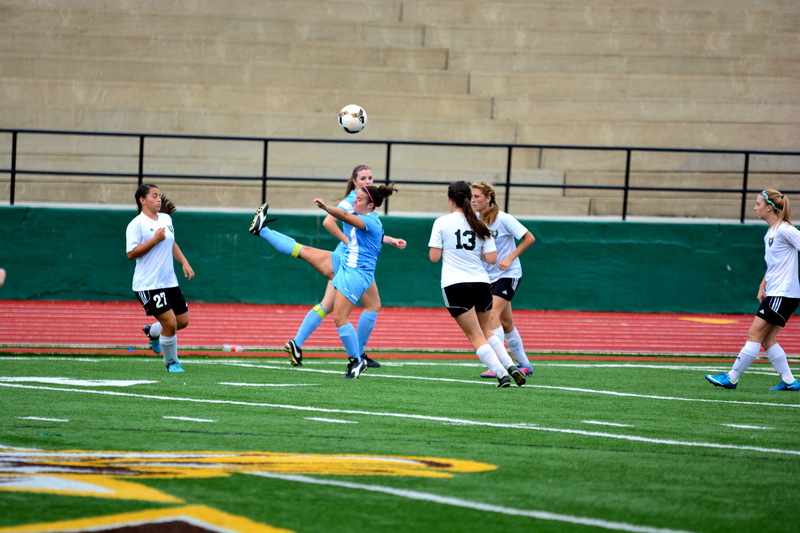 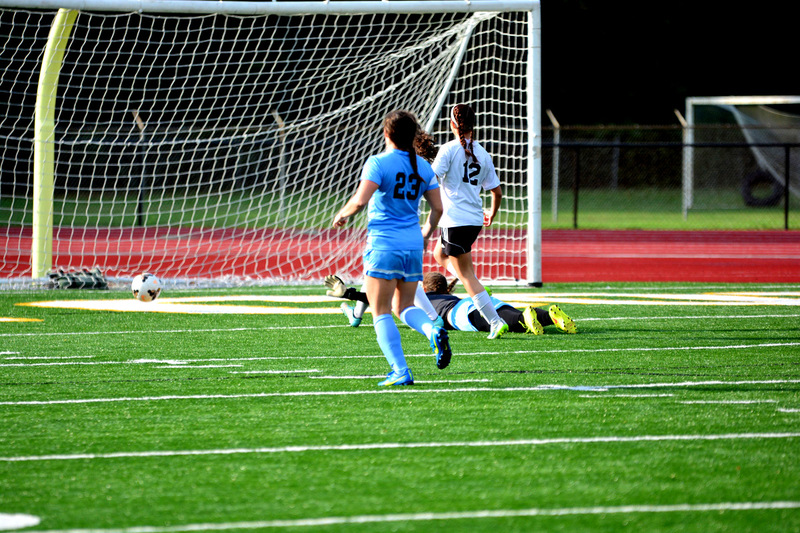 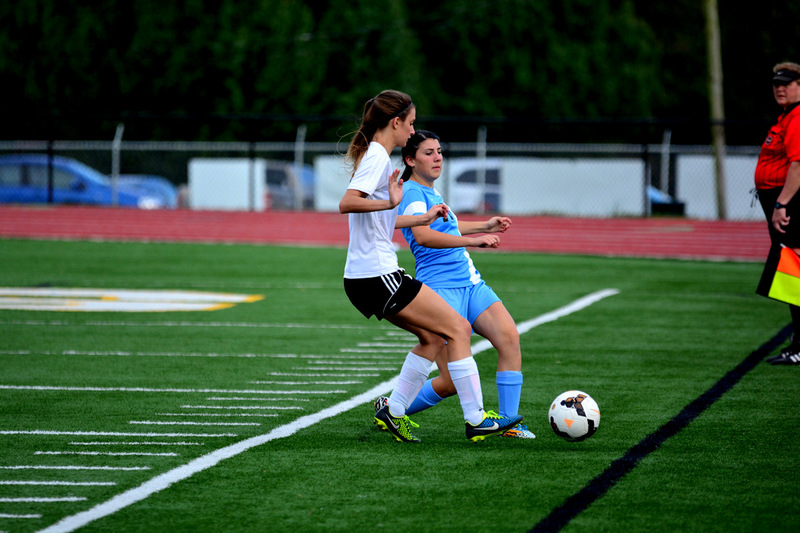 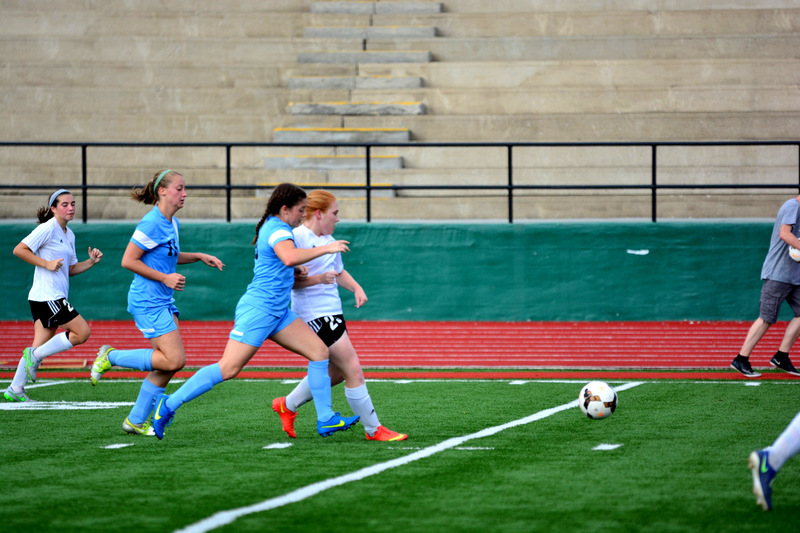 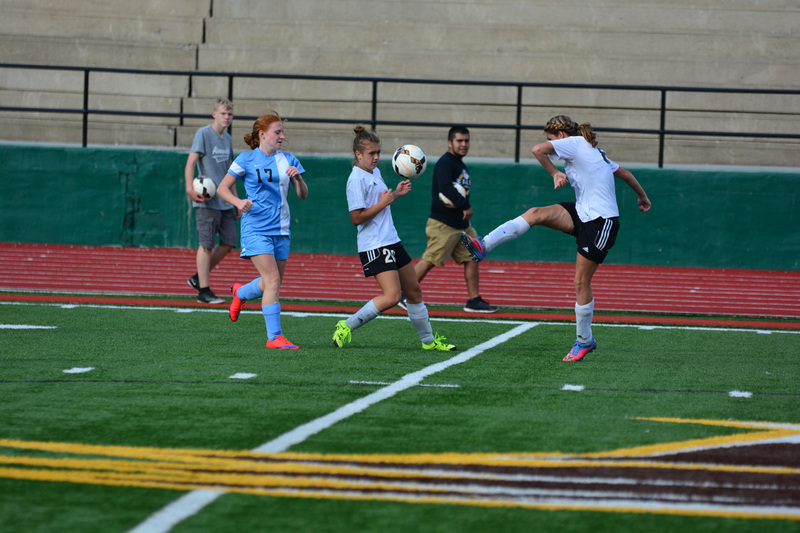 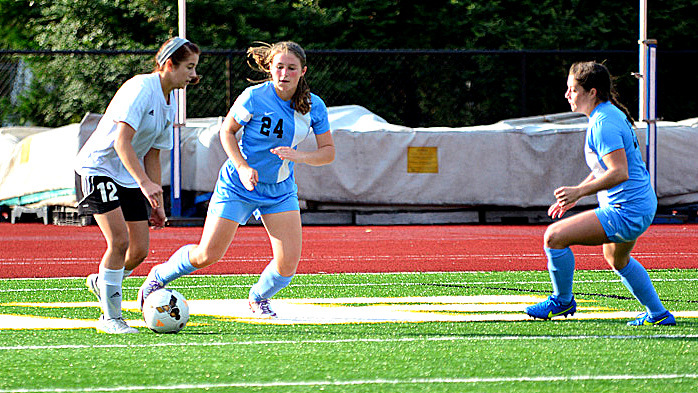 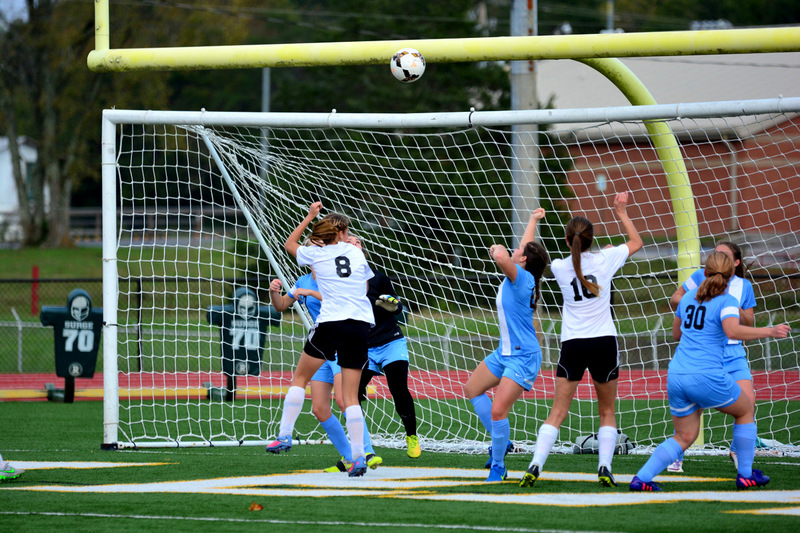 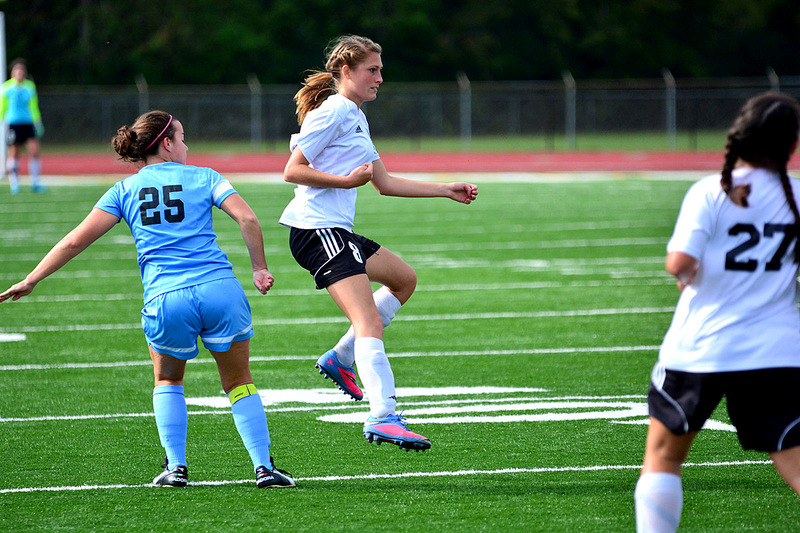 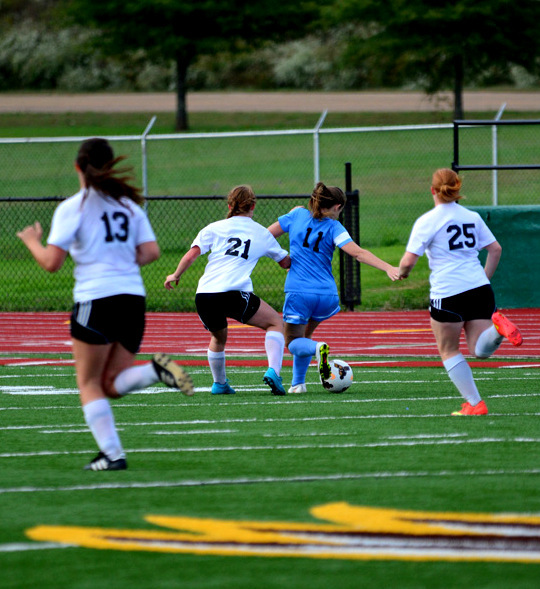 In that game the Lady Eagles’ Allison Sekura scored 2 goals and Hailey Shelby added the third goal. 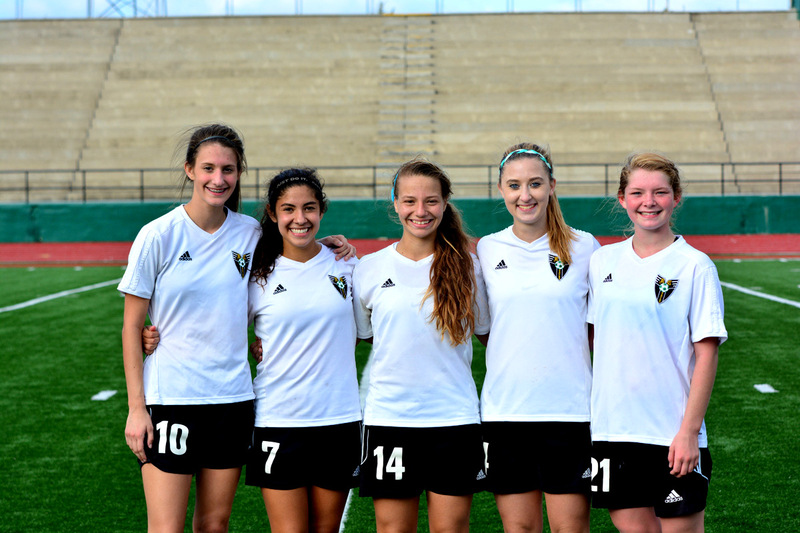 Before the game at Coaches Meeting the All District Players were selected. Rhea County placed two players on the first and second team All-District squad. 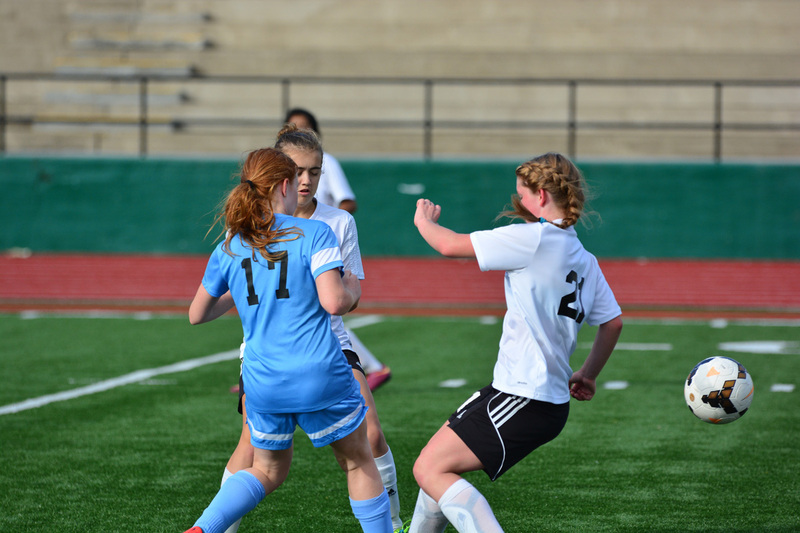 On first team are Alexis Ayala and Mayo Sommers. 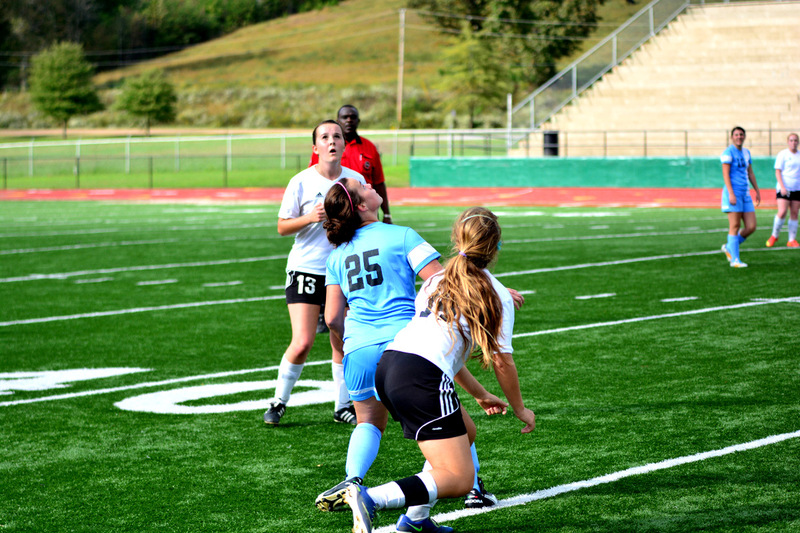 On second team is Whitney Brooks and Allison Sekura. 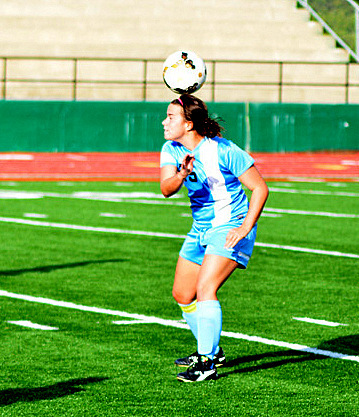 Hailey Shelby was selected as offensive player of the year.